1. 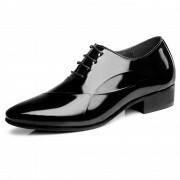 You can buy our height increasing elevator shoes and normal shoes at competitively low VIP prices, this is the lowest price possible for resellers. 3. You get faster shipping. Tell your sales representative what you are selling and we will buy more stock for you in order to ship your order in 2-3 days. 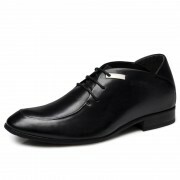 Simply register an account with us at the topoutshoes website. Afterwards, send an email to service@topoutshoes.com and let us know how you will work with us and provide an estimate of your sales per month. For example, the total number of orders and also the transaction value. We will review the information and contact you when you have been approved as a VIP customer. You will then be able to get dropshipping prices. 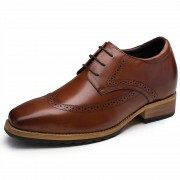 Dropshipping with topoutshoes.com gives you the convenience of being your own boss with your own online business in just a matter of hours. The full range of our inventory is available for all our dropshippers; it really is as simple as choosing what products you want to sell, and then contact our sales team if you require any assistance. Please note that we never include topoutshoes.com promotional materials or invoices featuring our name in the packages dispatched to your customers. 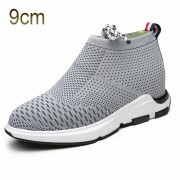 topoutshoes.com employs various methods designed to protect the true source of the goods, along with the price that you, as the vendor, paid for them. This helps to protect our business relationship and also ensures customer loyalty from our dropshipping customers. If your customers experience any technical difficulties or issues, or want to return the goods purchased, they must first contact you as the topoutshoes.com account holder as well as the original vendor of the purchased goods. Please note that it is your responsibility as the topoutshoes.com buyer/dropship vendor to be knowledgeable in all tax issues and to inform your own customers relating to these matters. topoutshoes.com accepts ZERO responsibility for providing tax information or news relevant to individual countries. However, we would be happy to assist you in minimizing the tax burden if you have special packaging or declaration instructions for specific orders. To get started, simply browse our categories, and choose the hottest products you want to sell. When you’re reading to start marketing your products, contact us at service@topoutshoes.com and we would be happy to provide you with more tips and discounts. The wholesaler (topoutshoes) ships the item to your customer without the customer knowing it is dropshipped. 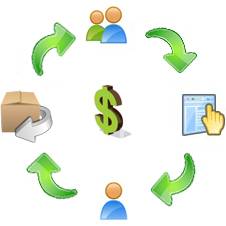 Your customer places an order at your website and pays you for the order. Good taller slip on loafer .